Mobile became the dominant form of digital display advertising for the first time in the 2017 financial year as digital continues to experience double-digit growth, the latest IAB/PwC figures claim. 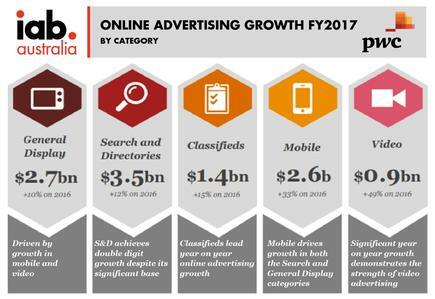 The latest IAB/PricewaterhouseCoopers Online Advertising Expenditure Report for the 2017 financial reported yet another year of double-digit growth for the digital advertising market, with total revenues reaching $7.6 billion in the 12 months to 30 June 2017. The result was an 11.7 per cent year-on-year increase, and sees digital representing just shy of 50 per cent of total advertising spend in Australia, the consulting house claimed. All forms of digital advertising, from general display to search and directories, classifieds, mobile and video, saw double-digit growth over the last year. Most notably, mobile advertising accounted for more than 50 per cent of the total general display market, and grew 32.7 per cent year-on-year to be worth $2.6bn in 2017. Of this figure, 54 per cent was mobile display, with the remainder mobile search. 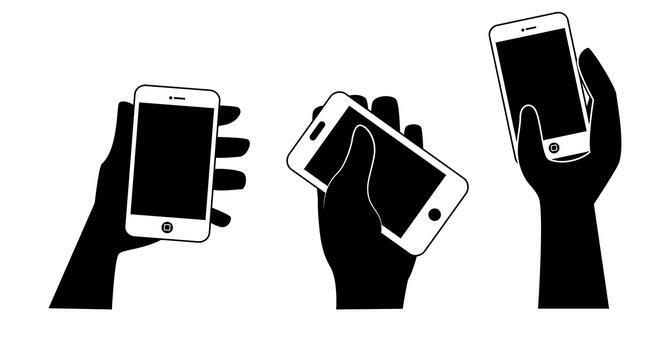 Seventy per cent was on smartphones and 30 per cent on tablets. “Digital is now a grown up and established advertising medium and the continued evolution of video and mobile advertising,” PwC editor of the Australian Entertainment and Media Outlook, Megan Brownlow, said. One of the challenges with mobile advertising uptake has been reporting on it, Brownlow admitted. As a result, she suggested the industry had tended to “undercook” mobile in the past. “What we’re seeing now is this combination of video viewing on mobile, which has significantly implications for the content makers,” she commented. Video was clearly a strong performer, chalking up 49 per cent year-on-year growth and accounting for one-third of the total display market at $900 million, up from 24.3 per cent in 2016. Brownlow pointed out display had benefitted significantly from advertising coming to grips with how to use video online. “Video in its own right is approaching a billion dollar business as more brands are realising the benefits of combining the persuasive brand building capabilities of video with the precision targeting that digital affords,” she said. This was particularly the case with retailers in the FMCG space, who recognised the opportunities of video not just to do performance-oriented work, but more strategic brand work for their businesses, Brownlow said. “The real heavy lifting with awareness, launching new products – those are the categories that have really driven video uptake,” she added.